On Saturday nonprofit organizations enter teams to compete for over $10,000 in prize money. 24 organizations participated in 2018. While many nonprofits recruit their own teams, we do have organizations that are looking for players each year. If you can let us know of your interest, we may be able to match you with an organization and there is no cost to you to compete. First Place – $4,000 sponsored by Bergey’s Inc.
Second Place – $2,000 sponsored by Detweiler, Hershey & Associates, P.C. Novice Division–$1000 first place; $500 second place. The Novice division is contingent upon a minimum of nine teams registering for it. You must indicate your players’ preference for it on your registration form. To qualify BOTH team members must be either new to the tournament or have never qualified for afternoon play in the past. First, second, and third place prize winners of previous Novice division tournaments must compete in the Open division. This applies to individuals, not just teams. Two players per team. Play will continue unless there is lightning, thunder or other dangerous weather conditions. Returning Winner Rule – For any team that won 1st, 2nd, or 3rd place the prior two years, the players must return for the next two years with a new partner who has not won 1st, 2nd, or 3rd place in the prior two years. Players affected by this rule for 2019: Angela Bishop, Andrew Derstine, Matt Hoover, Landon Leinbach, Owen Longacre, Bryce Mininger, Rina Rampogu, Paul Rampogu, and Harold Wambold. Adam Law and Charlie Law are ineligible to play in our amateur event for 2019. Whack and Roll provides mallets for players. Novice division players must use these provided mallets. 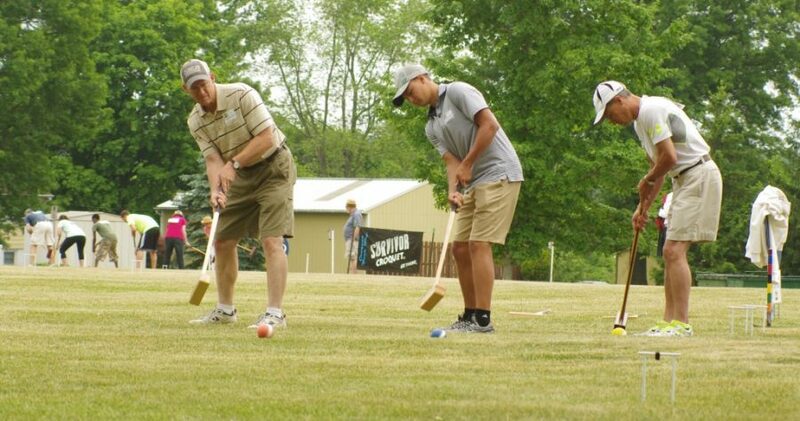 Invitational players may use their own mallets not exceeding 9″ head length. Independent teams may register to play for one of the participating nonprofit organizations. Registration is $250/team of two players and includes lunch. Register as independent team (coming soon). Clinics and open play are available each Sunday afternoons beginning April 28 through May from 2:00-4:00 pm on the MHC lawn. There is no charge and no registration necessary. Waiver form for registered players (coming soon).